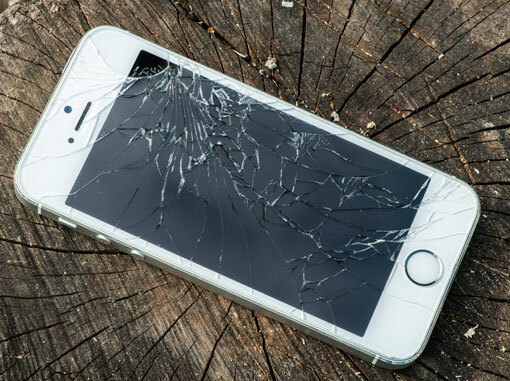 After months of rumors of a sapphire display for the iPhone 6, we learned that the newly launched device will have a standard, chemically hardened screen, probably Corning Gorilla glass. But should potential iPhone 6 purchasers care? Is a sapphire display, with a Mohs hardness rating second only to diamond, all it's cracked up to be as far as scratch resistance and durability? Fortunately, there is another phone on the market with a sapphire display that we can use to evaluate its merits versus glass—the Kyocera Brigadier. Currently available for only $99 on Verizon, the Brigadier is a military-spec ruggedized phone that's built to take a beating. And Kyocera, which claims to have over 40 years manufacturing synthetic sapphire, isn't a newbie when it comes to either smartphones or sapphire. Kyocera was kind enough to send me a Brigadier for hands-on abuse testing. And I decided to pit it against the Corning Gorilla Glass screen of an old HTC Inspire 4G we had in the office. The goal: test both phones to see which display holds up better to scratches and shocks...and I planned to keep going until one of two cried uncle. For my testing kit, I used the steel wool and small rocks sent to us by Kyocera, a box to contain any potential glass shards and an expert in breaking things—my 10-year old son, Zach. We then went to it, seeing how each phone held up to our abuse. 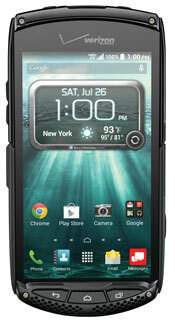 Neither the Kyocera's sapphire display nor the HTC's Gorilla Glass display were affected by the steel wool. Not a surprise since both materials are far harder than steel. Similarly, the small rocks dropped from a few feet onto the displays had no effect. The impact test from a larger, golf ball-sized rock drop started to separate the two, with the Gorilla Glass incurring small nicks, while the sapphire display of the Brigadier remained pristine. But things turned around when we simulated a harder drop using a rock from Zach's personal geology collection. One drop, and the Kyocera's sapphire display broke into a spiderweb of cracks, rendering the screen non-functional. The Gorilla Glass held up to the pounding—even after four drops, the only damage a few tiny chips. The lesson here? Sapphire is an extremely hard substance that will hold up well, and probably better, to day-to-day scratches than the Gorilla Glass on the iPhone 6 and other smartphones, But it is not invincible. And, in our testing, Gorilla Glass showed better breakage resistance. Check out our test in the video below.